After keeping us waiting longer than a diva with a headache, potentially seminal legislation on climate change has finally made it to the floor of the US Senate. Cue bouquets from people who want the US to get intimately involved in tackling the world's greenhouse gas emissions. Cue also brickbats, though - both from industry groups that believe the Boxer-Kerry bill will scupper US competitiveness, and from green groups who see it as promising too little too late. 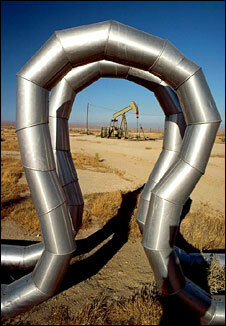 "The losers would be millions of Americans and American companies," rails the American Petroleum Institute (API). On the other side, the bill "falls far short of the minimum emissions reductions scientists say are necessary from a big and wealthy polluter like the US," counters Greenpeace. These divergent views reflect a real schism in US politics - very different from the near-complete consensus within western European nations, for example, that major carbon cuts are necessary. It is a divergence that could scupper, mortally weaken or seriously delay the bill - and with it, potentially, remove any chance of agreeing a new UN climate treaty by the end of the year. Having passed through the House of Representatives in June by the margin of 219-212, the bill was supposed to enter the Senate in July. But having seen the narrowness of the victory margin in the lower house, the wording has been wrestled and wrought anew in order to ease passage through the upper house. Its arrival at the end of September comes little over two months before the UN climate conference in Copenhagen. This is a conference, mind, that is supposed to usher in a global environmental treaty more complex and convoluted than any in history. How the Boxer-Kerry bill fares is widely thought to be crucial for the Copenhagen negotiations. "It's fundamental, because it's the way in which the world can get a sense of how serious the US is in tackling climate change and what level of effort it's ready to undertake," says Jennifer Morgan, director of the climate and energy programme at the World Resources Institute (WRI), a long-time observer of UN and US climate politics. And as the industrialised world's biggest emitter, the biggest economy on the planet, and the country that led opposition to global regulation under President George W Bush, the US has to convince others - especially developing countries - that is is serious about reducing emissions, otherwise the prospects for a Copenhagen deal fall away. "I think right now developing countries would say the US isn't showing enough ambition," says Ms Morgan. "But I think they're really looking for a signal that there's certainty in the US plans, that the caps [on emissions] are binding, and that they'll cut emissions at home." Having been known as Waxman-Markey since its inception two years ago, the Clean Energy Jobs and American Power Act now finds itself renamed as Boxer-Kerry. The switch marks the transition of sponsors from Representatives Henry Waxman and Edward Markey, who shepherded it through the lower house, to Senators Barbara Boxer and John Kerry, who will seek to do the same through the upper house. But more has changed than just the name. The level of ambition has risen slightly. Rather than aiming to cut emissions by 17% from 2005 levels by 2020, it's now going for 20% - although critics point out that for a variety of reasons, the true figure under either version may turn out to be a few percent lower. The bill would create a US-wide carbon market, which in time would link up with other carbon markets around the world, notably the EU Emission Trading Scheme. After 2020, the bill mandates a whopping further 38% cut in emissions in just a decade; and the final objective is an 83% cut by 2050. These numbers might sound impressive - they might be impressive - but the problem is that in the UN negotiations, everything relates to a baseline year of 1990. Since then, US emissions have risen by about 16%. So a 20% cut from 2005 levels by 2020 only amounts to a 4% cut from 1990 levels. Set alongside Japan's target of 25% or the EU's 20-30% over the same period, this looks small beer indeed. And this is why many environmental groups, though pleased the US is pledging anything after the Bush years, are now queuing up to condemn the targets. For Kieran Suckling, executive director of the Center for Biological Diversity: "The Kerry-Boxer climate bill marks a baby step forward in the ever more urgent fight against climate catastrophe. "Leading climate scientists have called for reductions of approximately 40% below 1990 levels (by 2020) to avoid climate catastrophe, and yet this bill aims to deliver only a 20% reduction from 2005 levels." And it might not even deliver that. Leading Republican senators have made no secret of their distaste for the bill. 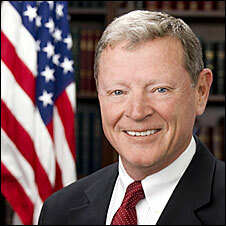 James Inhofe, the Oklahoma senator who leads the Republican contingent on the Environment and Public Works Committee that Ms Boxer chairs, describes it as ushering in a "bad option, cap-and-trade, that commits us to requirements for which affordable and reliable technology does not exist". When former presidential candidate John McCain was asked whether he could support the bill, his response was terse: "Of course not. Never, never, never." And opposition is not confined to Republican ranks. In August, 10 Democrat senators wrote to President Obama saying they would not support a bill that did not protect US companies from competition from other countries that were not incurring extra costs through limiting carbon emissions. In an attempt to bolster support, Senator Kerry has hosted a series of meetings bringing opponents of the bill together with climate scientists and environmentalists. Even if that plan succeeds well enough to ensure the bill's passage, there is no guarantee it will pass by the time UN negotiators arrive in Copenhagen for the summit opening on 7 December. Mr Kerry and Ms Boxer plan to push it through as fast as they can. But opponents are clearly in no hurry to wrap things up. They accuse the sponsors of omitting key details such as how the rights to emit will be allocated - a subject that proved highly controversial during discussions in the House of Representatives. Mr Inhofe argues that without such information, "farmers, families and workers have no way of gauging how acutely they will be affected from job losses, higher electricity, food, and gasoline prices". Another political nightmare confronts the bill's supporters: that Democrats will be forced to concede ground or time on the climate bill in order to pass a package of healthcare reforms, another flagship programme of the Obama administration. "There is a chance it can be passed through the Senate [by the time of the Copenhagen summit], and it's in the interests of the US that it does get passed," says Jennifer Morgan. Over the next two months, there is everything to play for, in Washington and on the road to Copenhagen; and for everyone who believes a strong global deal on climate change is overdue, the stakes could not be higher.